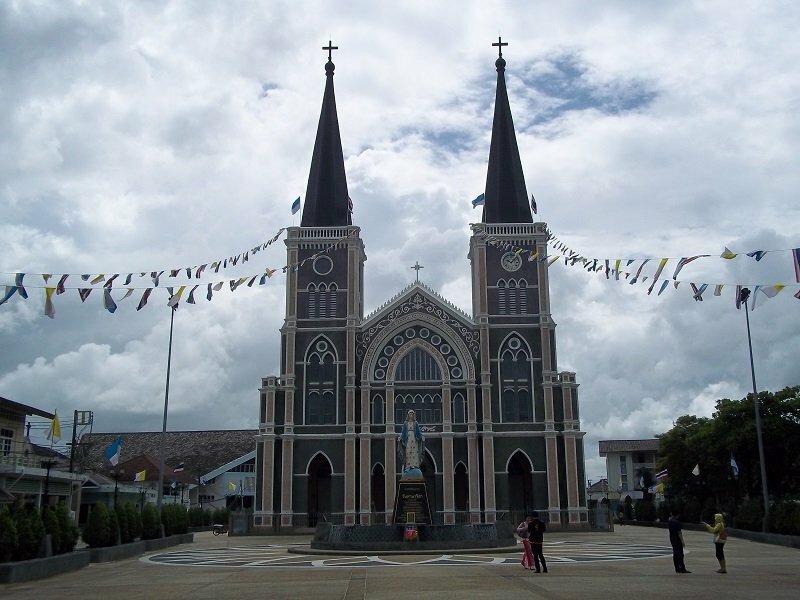 Completed in 1909 under the direction of French residents of Chanthaburi, then in occupation of the town, the Cathedral of the Immaculate Conception is the largest Christian Church in Thailand and by far the most beautiful. From the outside this Gothic monolith of a church, set within its own courtyard, is an imposing sight. There is nothing quite like this anywhere else in Thailand. There has been a church on this site since 1711 and it was enlarged and rebuilt no newer than 4 times during the Nineteenth Century. The building which stands took 10 years to build and the famous twin spires had to be removed during World War II to make the cathedral less recognisable as a landmark for Allied bombers to use as navigational aid. We hope this incarnation of the Chanthaburi cathedral is now here to stay. The inside of the cathedral is no less impressive. It is very ornate and attracts a lot of visitors, mostly Thai, and mostly not members of the Catholic faith. The centre piece of the cathedral is the statue of the Virgin Mary. It is covered by semi precious gems donated by the local congregation – estimates of the number of gems range from 200,000 to 500,000 and it is difficult to take a good photograph (see my attempt above) because of the complexity of the light which is reflected. 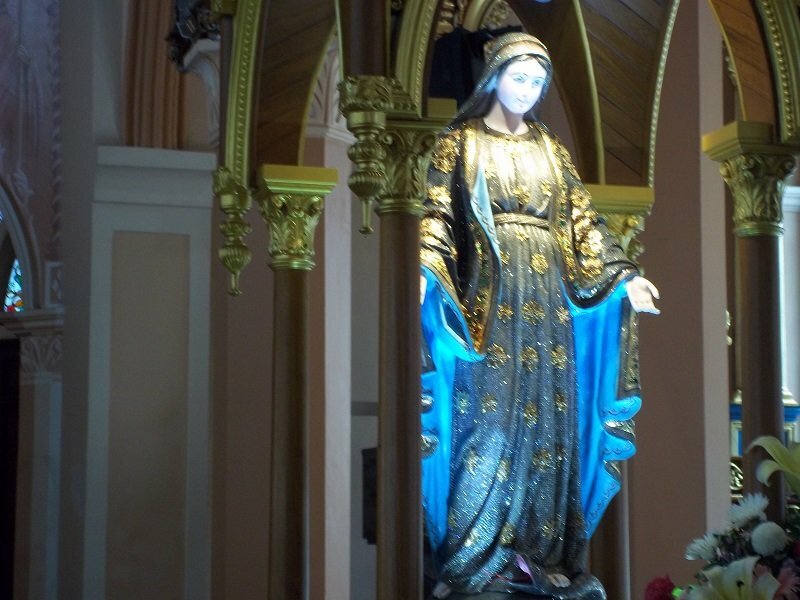 Chanthaburi is a wealthy town from the gems mined in the province – the town itself is the centre of Thailand’s gem trade – and on the fruit trade hence the massive scale of the donations which went into creating the statue of the Virgin Mary. 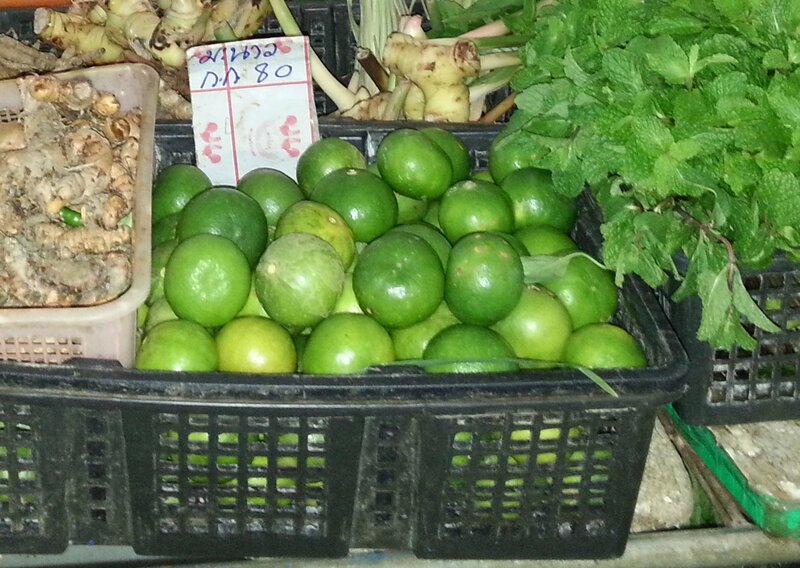 Chanthaburi is also prosperous because this is where they grow the best fruit in Thailand and where most of the fruit that is exported from Thailand originates. 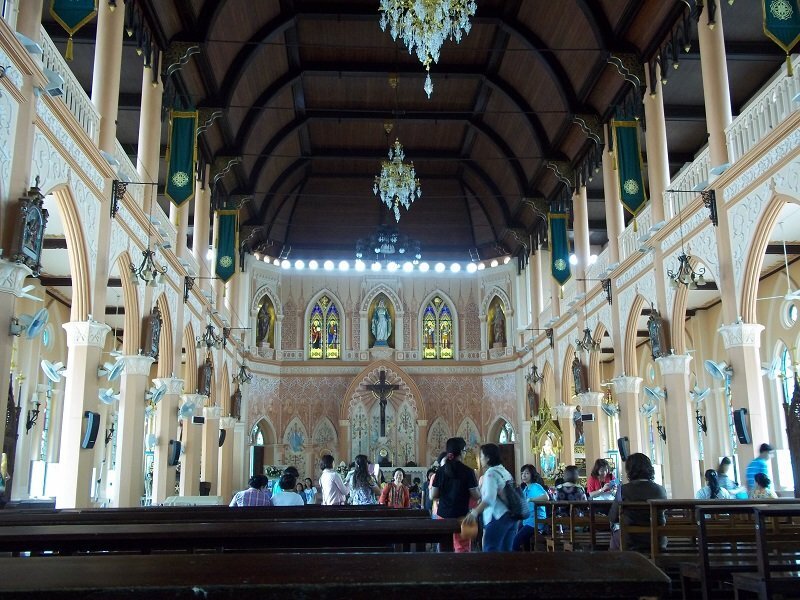 Chanthaburi also has the largest Catholic congregation in Thailand. 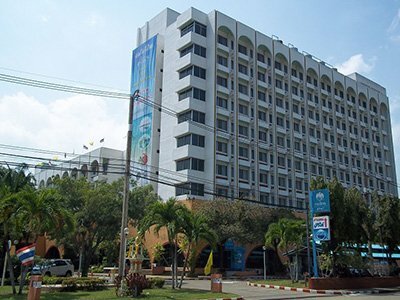 If you are looking for somewhere to stay in Chanthaburi try the excellent Four Star Maneechan Resort which, coincidentally, is also owned by a prominent member of the local Catholic church. 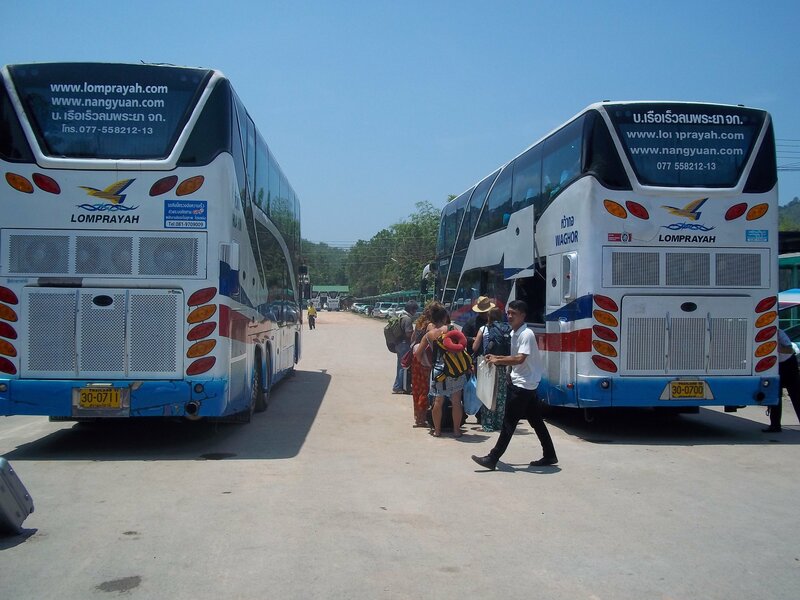 Next read about Ekkamai Bus Station, Bangkok’s Eastern Bus Terminal departure point for bus services to Chanthaburi.